We are big fans of Native Shoes. With so much going on with the company lately... we decided to send the new CEO, Scott Hawthorne some questions to learn more about him and his plans for the brand in Canada. 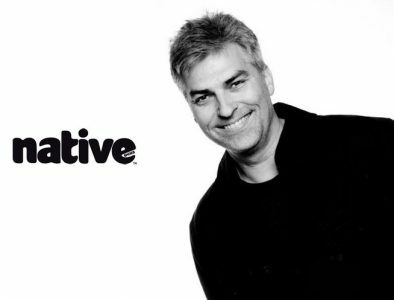 HI SCOTT, CONGRATS ON THE ACQUISITION OF NATIVE AND THE APPOINTMENT OF DARREN HAWRISH AS PRESIDENT. MANY KNOW DARREN FROM HIS TIME WITH NO LIMITS, CAN YOU GIVE US A SHORT BIO ON YOURSELF? I am a creative entrepreneur who enjoys getting ideas off the ground. After spending 10 years at a French investment bank in Tokyo I returned home to Vancouver to pursue this passion. I was one of the original founders of Native Shoes, and am also partnered in several other creative ventures including Parking Spot Ideas Space, Picker Shack Orchard, Salt Tasting Room, Judas Goat, Rainier Provisions and Bitter Tasting Room. NEW LEADERSHIP & INJECTION OF CAPITAL…. WHAT IS THE NEXT 12 MONTHS LOOKING LIKE FOR NATIVE? Our goal is to align our leadership team and bring talent on board to ensure our long term success. We've also identified areas to streamline operating expenses in the short term, to create a new base from which to grow and continue to build on our global network of 45+ countries. WILL THERE BE ANY CHANGES TO THE SALES FORCE IN CANADA? Native Shoes sales and distribution inside Canada will continue to be managed by F Bomb Trading. WHERE CAN RETAILERS VIEW NATIVE FOR SP2014?